Superdry men’s Clinton Moccasin slippers. 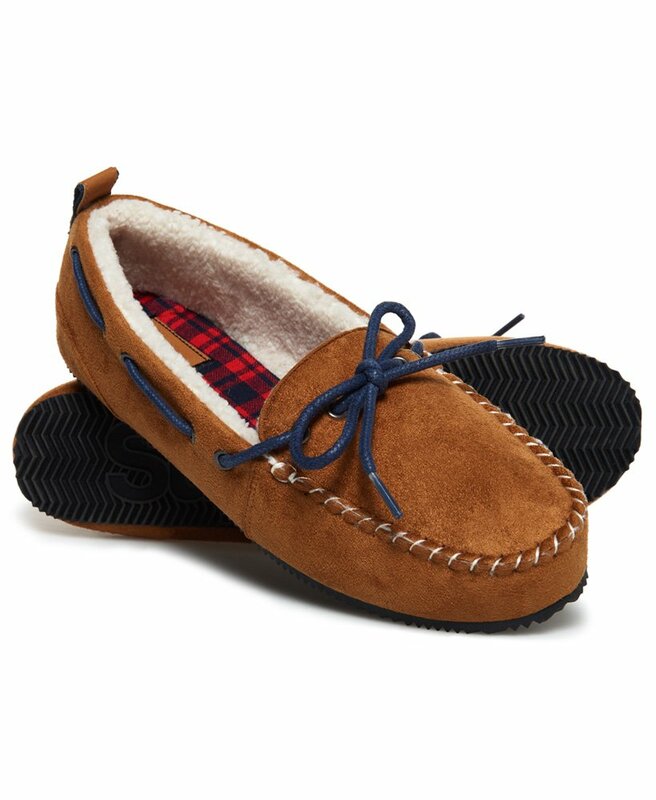 Slip your feet into something more comfortable after a long, hard day with our moccasin slippers featuring a super-soft Borg lining, a padded foam insole for ultimate comfort and lace detailing. The Clinton Moccasin slippers also feature a branded sole and are finished with a signature branded heel pull.